FOR SALE...RARE OPPORTUNITY - SUPER LOCATION FOR YOUR BUSINESS OR INVESTMENT...WON`T LAST...Eatery, medical, retail or any national tenant. Directly before traffic light, and double direct access to Route 211 plus side road access makes this property a must for any developer to take a look. Route 211 the busiest artery of the area w/over 13,500 cars passing daily. Over 5741` sq. ft. of building space already in place on over 3/4 of an acre level lot w/plenty of paved parking for about 80 cars. Bring your business for direct exposure and visibility from this super location w/all municipal services available plus natural gas....great location; busy traffic, close to all: public transportation, shopping centers, stores, and residential neighborhood of Middletown. Good for retail stores, offices, storage, etc. Great potential! 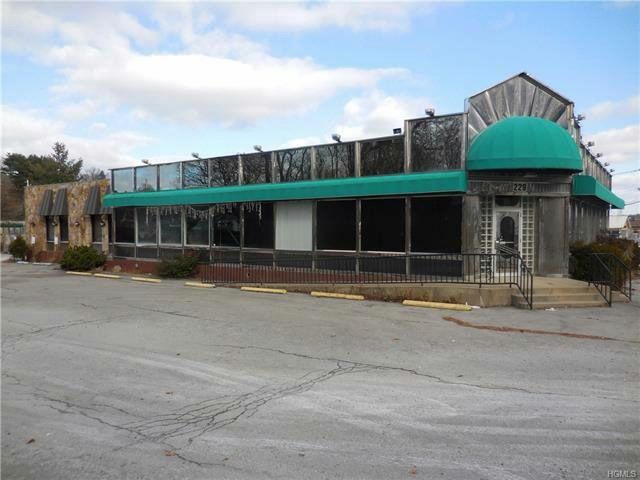 Wonderful opportunity to place your business in the booming City of Middletown! Easy access to I-84 & 17M. Short drive to college and new regional medical center.